« If you don’t go into the woods, nothing will ever happen, you will never start living. Go into the woods. Go». Clarissa Pinkola Estes, Women who run with wolves. With her books, Clarissa Pinkola Estes invites us to be Feminine, to feel it and live it fully, with courage and boldness, which is to say with wisdom. It’s in the lineage of Clarissa Pinkola Estes that the beautiful Women from Centre Tao Paris have created the Festival du Féminin. The Festival is all about sharing emotions between sisters. During one full week-end, women explore their beauty, their creativity, their strength and their weaknesses, their power and their sensitivity. A bold woman is alive because she expresses all aspects of her personality and dares to go in search of her inner feminine nature; she then expresses it into the world in a harmonious and fulfilling manner. We invite you in the warmth of a familial cocoon, in the green heart of an eco-house, the Centre Pérou, to take part to this adventure of the Festival du Féminin and to discover during two days what makes you a unique Woman; you will experiment your inner beauty, your inner feminine nature; you will (re) connect with your body; and you will finally become fully conscious of the fact that you have enough strength and courage inside of you to realize all the projects and dreams you may have. 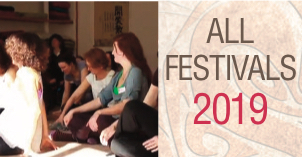 The theme of the Festival is « Audacity » : daring to be sensual, daring to be a mother, daring to be you, daring to jump and start living the life you want…Come and meet with your true self. Come and enjoy the intimacy of a sisters’ circle to share your emotions in full trust. For its first time in Brussels, the Festival will transform itself into an intimate cocoon where you will be able to share feelings, dreams, and projects with your fellow participants, as well as with the professionals speaking during the week-end. All the workshops and conferences will be simultaneously translated into English. You will also have the possibility to enjoy massages and healing treatments (neck massage, reflexology, auto-massage…): during all week-end, every 15 to 30 minutes, you will be able to register for a massage or a specific healing treatment, which will allow you to deepen your connection to your body and to yourself. The Ladies from Centre Tao Paris have given us their full trust to organize the first bilingual (French-English) edition of the Festival du Féminin in Brussels. We want to express here our deepest gratitude towards these amazing women: it’s when other women, sisters, believe in you and in your creative power that everything becomes possible. We already share the deepest bond of sisterhood. 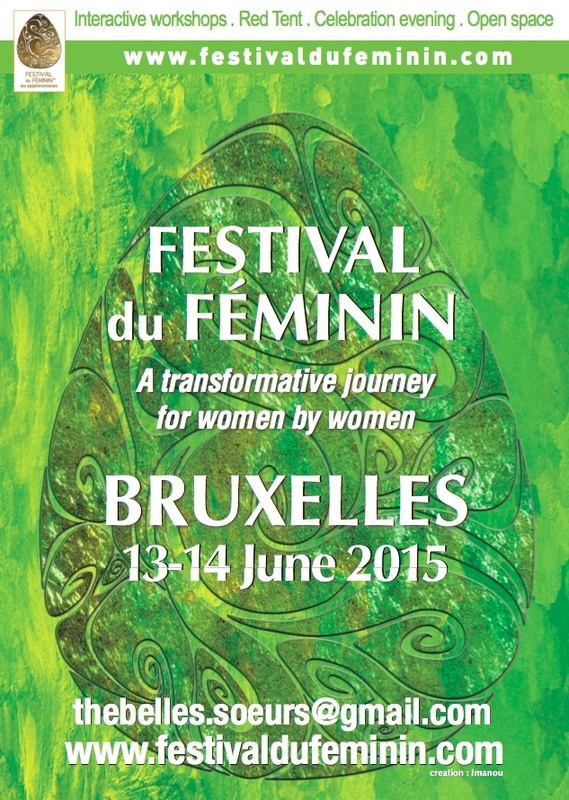 But organizing the Festival du Féminin in Brussels has even deepen this sacred link in a beautiful way. It is with our greatest acknowledgement that we have the pleasure to welcome exceptional professionals coming from France, Italy, India and of course Belgium! We also would like to give a warm thank you to our volunteers and media partners for their constant help and support all along the organization of the Festival. We are very much looking forward to welcoming you for this magical event which is part of a bigger international calling to awaken the sacred Feminine power and beauty. Vinciane and Christine, The Belles Sœurs Organisatrices. WORKSHOP PRESENTERS: Agnès DELPECH, Delphine LHUILLIER, Christine MASURE, Dr. Régine ZEKRI-­HURSTEL Annie Sarah PETIT, Nirmala GUSTAVE, Kristin DE CREM, Anne Chantal MISSON, Christine GATINEAU, Martine JOUFFROY, Elisabetta LA COMMARE, Marion BENVENISTE, Catherine CIANCI, Vinciane et Christine MASURE, Catherine CIANCI, Martine HANARD, Efféa AGUILERA and Maria VERHULST. 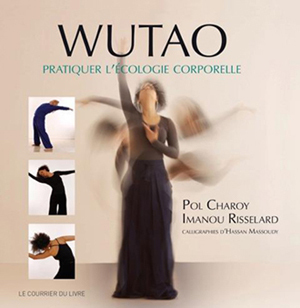 A « RED TENT » organized by Caroline VON BIBIKOW on Saturday and Sunday morning (duration: 1h). Please pre-register as places are limited. Charlotte BRUNET, Psycho-physical Therapist, will deliver every 30 minutes some “Massages- Minutes”. Registration on site. Dominique PIERRE, specialized in foot reflexology, will offer every, 30 minutes, sessions of « Reflexology-Minute ». Registration on site.